Students without Aadhaar will be struck off the rolls and deprived of benefits such as mid-day meals, free books and uniforms. Bahadur Singh, principal of the upper primary school in Nanakheda village in Uttar Pradesh, cast a worried glance at the list. Shaking his head, he declared: “Nahi ho payega”. It cannot be done. The list was of Aadhaar numbers of his students and had many blanks – many were still to submit their 12-digit biometric-based unique identification numbers. In March, the central government made having the number mandatory for school students across the country to get free mid-day meals and other benefits. 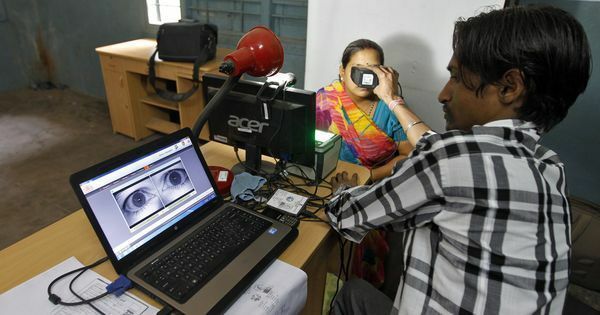 The Centre’s notification prompted the Uttar Pradesh government to order its primary and upper primary schools to collect Aadhaar numbers of all Class 1-8 students by June 30. But as the March 21 order setting that deadline mentioned, the state had been asking its schools to get their students registered since April 2015. In addition to mid-day meals, benefits like free books, uniforms, shoes and school bags are also contingent on Aadhaar. The education department even threatened to stop salaries of principals who failed to comply, agreeing only to push the deadline to July 15 because schools were shut for summer vacation until July 1. But principals say even this deadline will be hard to meet. In Nanakheda in Budaun district, 30 of the 134 upper primary students were yet to submit their Aadhaar numbers on July 4. At the primary school, with Classes 1-5 and 206 students, another 35 were left, said the principal Rajkumari. Singh sees no way he can complete the table of names, Aadhaar or enrolment registration numbers and contact details that he is building by July 15. Many of his students had submitted their biometric information at enrolment camps before but got neither the Aadhaar card nor a receipt. Now they find they cannot enroll afresh. The ramifications of not enrolling are disastrous. Singh confirmed that once the list is submitted, all those without Aadhaar will have their names deleted from the register. The state will treat students enrolled without Aadhaar numbers as duplications – that is, simultaneously enrolled elsewhere – or, worse, fictitious. “The number we get after this will be considered the final and accurate one and funds for books, uniforms and meals will be released accordingly,” said Gaurav Kumar Saxena, an official in Badaun’s district education office overseeing the Aadhaar enrolment process. With the reopening of schools after summer vacations, desperation has gripped head teachers across the districts of Moradabad and Budaun, where until as recently as May, large numbers of residents had not enrolled for Aadhaar. Bags are being withheld in some places, admissions have slowed in others and parents are taking days off during the sowing season to get children registered. Teachers are handing out printed slips with names, birth dates and addresses from the school records to serve as reference letters. Although the state government’s own systems fall laughably short, the plan to strike off names of children who fail to submit Aadhaar numbers by July 15 still stands. Local authorities generally endorse the government’s rationale for the move. Several block education officers argued that Aadhaar-linking will eventually help detect and eliminate duplication and yield more accurate data on enrolment. This, in turn, will prevent pilferage of benefits. A May 24 circular from the government also explained that Aadhaar will be linked to the District Information System for Education, the only public and centrally-held government database on schooling, managed by the National University for Educational Planning and Administration, New Delhi. This will enable tracking of children in public and private schools, in cities and states. Until now, the government depended on statistics reported by the schools. “We have children enrolled in private schools coming to public schools for books and uniforms,” said Suresh Tyagi, block education officer of Chhajlet in Moradabad. “Aadhaar will put a stop to this.” The state government, however, is yet to enforce Aadhaar for private schoolchildren. According to Saxena, pilferage of mid-day meal stocks happens, but rarely. Before setting out to create the perfect education data set, though, the state had to ensure that children in its poorest and remotest villages had a chance, and time, to enrol. That is where, Saxena said, “the government machinery failed”. Aadhaar enrolment camps have been held in the villages of Badaun and Moradabad by panchayats and schools since 2015. But many villagers complained that they did not get Aadhaar cards or even receipts despite having their general and biometric information recorded. In March, officials said, teams were formed in Lucknow, the state capital, and dispatched to villages to enrol students at “school camps”. “They did nothing,” said Budaun’s Basic Shiksha Adhikari Premchand Yadav. “Most did not even reach their assigned villages.” His Badaun district has over 2,400 primary and upper primary schools. Moradabad, which faced the same problems, has over 1,700. Tyagi explained what went wrong with this exercise. “Schools do not have internet and many rural ones are without electricity,” he said. “The agencies demanded generators – too expensive for a school that gets only Rs 7,000 for maintenance annually.” Even local enrolment agencies – private operations running like internet cafes – were reluctant. Although it should be free, the going rate for enrolment is about Rs 100 in the region. School camps would be far less lucrative. Block officials reported this lack of preparedness to their bosses. Meetings were held but, despite the high stakes, no relief came. Instead, teachers were told they would have their salaries docked or withheld. “Whether they did it or not would be mentioned in their service [records],” said Saxena. It, thus, came down to individual schools and parents. Teachers at the primary school in Chhajlet escorted children to local enrolment centres. Teachers in Burra village of Budaun, handed out reference slips at their pupils’ homes. 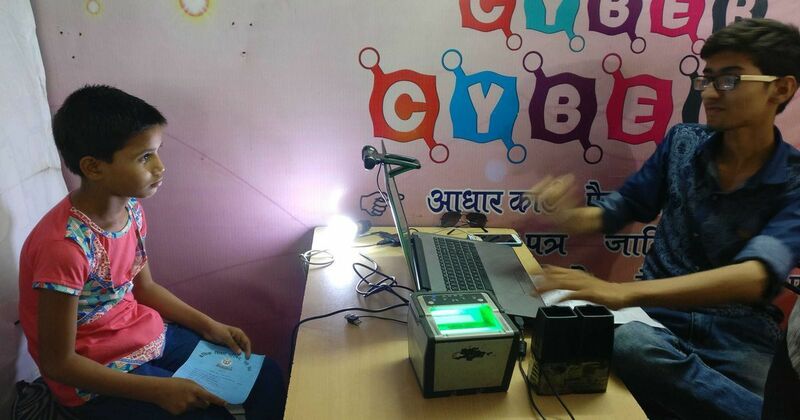 By the first week of July, Budaun had collected about 65% of Aadhaar data from schools, and Moradabad and Chhajlet blocks, in Moradabad district, about 70%. Bahadur Singh has reason to feel defeated. His pupils include Zaibul Nisa and Zainab Nisa, in Class 8, who had their details taken at an enrolment camp in the village about four months ago. 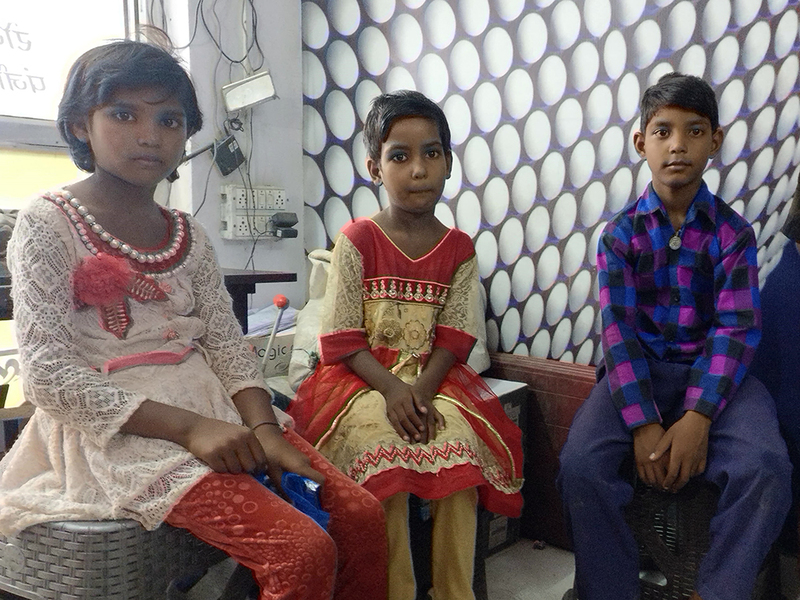 Their father Shakir said they were yet to get cards or enrolment slips. In Birpur-Bariyar in Munda Pandey block of Moradabad, anganwadi worker Afroz Jahan had a similar experience with enrolment camps. “Out of every 20 children, only five got the cards,” she said. Moreover, private enrolment centres are often unreliable. Even if the villagers travelled to the nearest town – for Birpur-Bariyar, it is Dalpatpur about 10 km away and there is no reliable transport – there is no guarantee Aadhaar cards will arrive. Most of the those who have enrolled are without receipts. Mohammad Hasim, set to join Class 1, has not received his card despite enrolling over three months ago, said his grandmother Safikan Miasab. “Admissions are getting delayed because of this,” said a Badaun community worker, asking not to be named. Some schools are signing students up but waiting to formalise their admissions until they get their Aadhaar numbers. Left to deal with the problem on their own, parents are angry. 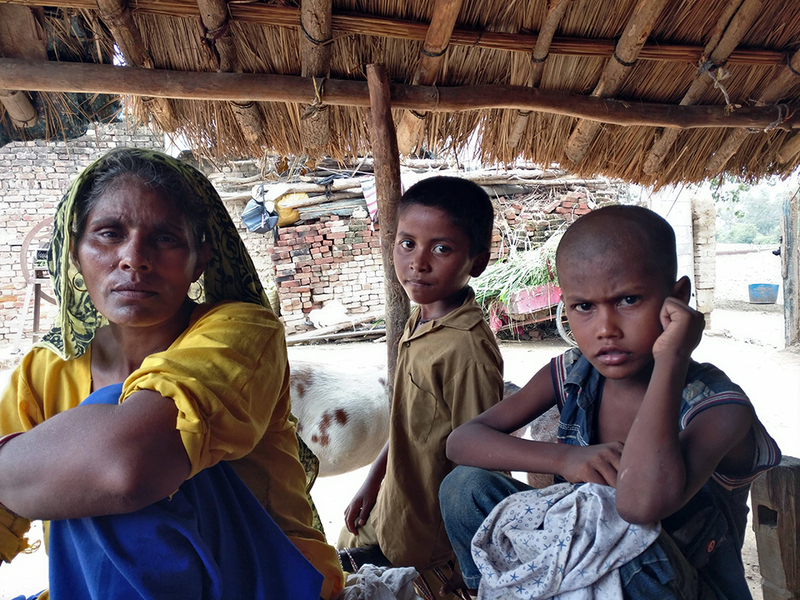 “This is the time I sow paddy and I had to leave the farm for this,” said Ramesh Pal. He had travelled 7 km with his sixth-grader daughter Divya from Khunak village to an enrolment centre on Bareilly Road in Badaun town. He waited over two hours. “Divya’s teacher told us she will not get mid-day meals or uniform if she does not get Aadhaar,” said Pal. At least 10 other children waited at the centre, including a contingent of fourth-graders from Lakhanpur and another lot from Bondiya, both villages in Badaun block. All were accompanied by irate family members who had abandoned their farms for the day. The cost of travel and enrolment proved prohibitively high for many. 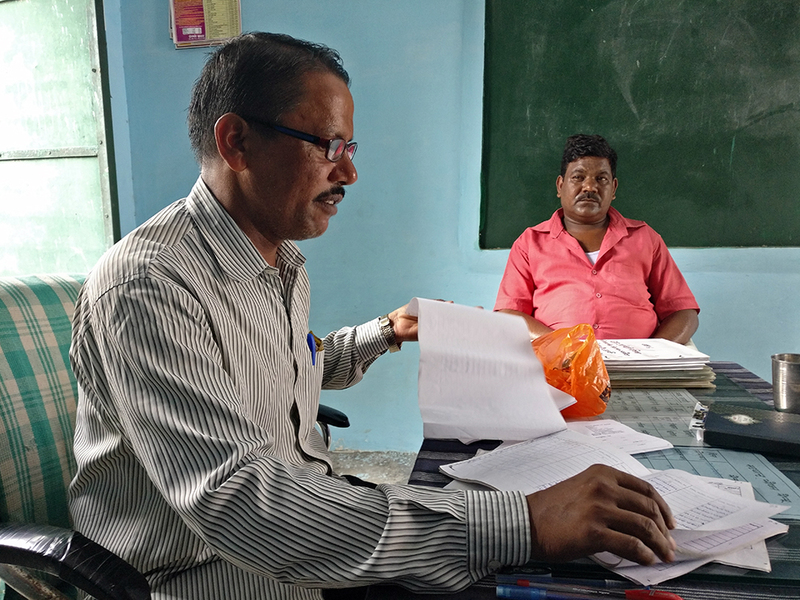 Primary teachers at Burra in Badaun and Munda Nazirpur in Moradabad, both villages set many kilometres from the nearest highway or town, attributed the low Aadhaar coverage among their students to the cost of the autorickshaw ride (Rs 100-Rs 200) and the registration fee. Principal Hemlata Sharma of the upper primary school in Ladawali in Chhajlet block added that some centres charge extra – as much as Rs 50 – for printing the receipt. A likely reason why so many said they enrolled but had no slip to show for it. There are errors aplenty but there is no time for verification or rectification. Numbers are being entered, errors and all. Two Nanakheda students have to get their nicknames replaced with the real ones on their cards before their numbers are entered in the database. Variations between school records and Aadhaar data are common. Aadhaar cards of Ubes Ansari, Rabiya Khatoon and Sahib (no last name) of the primary school in Chhajlet, show they were born on January 1 of different years. Principal Varthika Chaudhary’s records show other dates, however. Capturing the fingerprints of children is a challenge, too. Iram, 7, of Birpur-Bariyar may lose a school year because her fingerprints cannot be read. 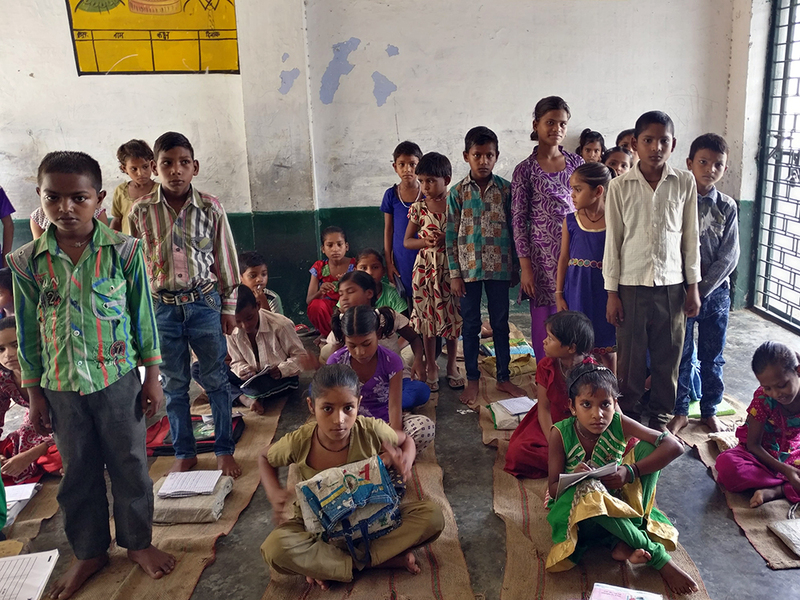 Six students of the primary school in Ladawli, Moradabad, are not enrolled for the same reason. At the primary school in Chhajlet, Chaudhary tried everything with second-grader Sumaiya (she does not use a last name), but to no avail. “We tried seven times,” she said. 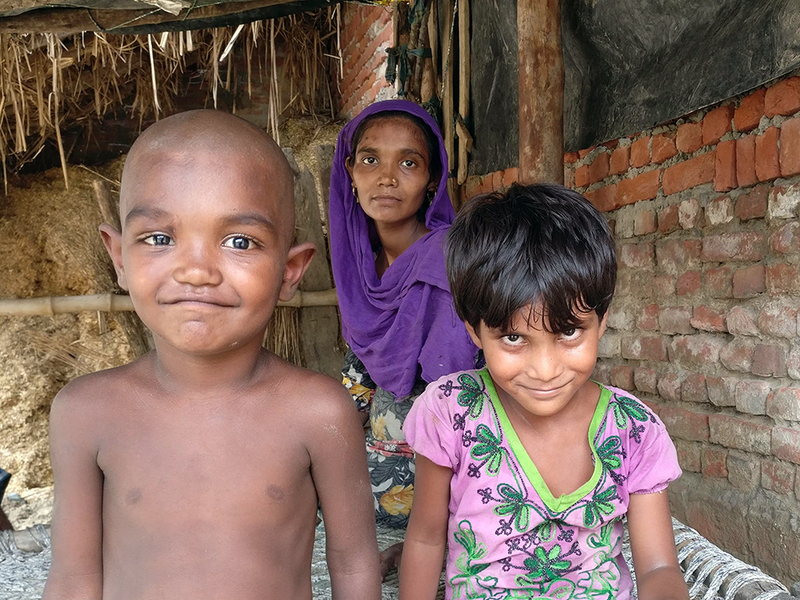 “We washed her hands and wiped them, we even rubbed petroleum jelly once.” Sumaiya and classmate Aftab remain unenrolled, their future remains uncertain.